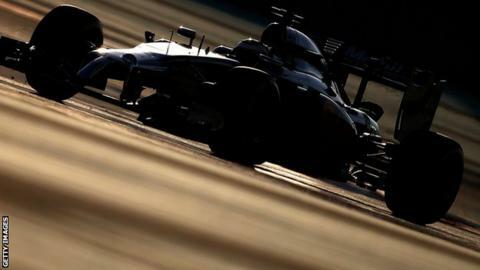 McLaren's new engine partner Honda has won its fight to be allowed to develop its engine during 2015. Formula 1's governing body the FIA has backtracked on an earlier ruling that allowed Mercedes, Renault and Ferrari to upgrade their engines but not Honda. This is defined by a number of 'tokens', which are assigned to parts of the engine on the basis of their influence on performance. Friday's ruling will allow Honda to change a given amount of its engine calculated by the average of the number of tokens unused by the other manufacturers by the time of the first race in Australia on 16 March. In the example given by FIA race director Charlie Whiting, and seen by BBC Sport, he writes: "If the three 2014 manufacturers have eight, seven and five unused tokens respectively at the start of the season, then the new manufacturer will be allowed to use six during the season (the average rounded down to the nearest whole number)". Whiting admitted in his note to the teams on Friday evening that that ruling left "unaddressed uncertainty" within the rules on the permitted engine development. In 2016, it was being allowed to use only 25 units of development, the same restrictions on it as the other manufacturers, meaning it missed out on the 32 its rivals could use in 2015. The FIA's decision also takes into account the opinions of Honda's rivals that it had an advantage inherent in entering a year late in that it knew a target to aim for, because it was aware of the performance of the rival engines in 2014.